Family Mosaic created an affordable and high-quality development that appealed to the varying audience of first time buyers. 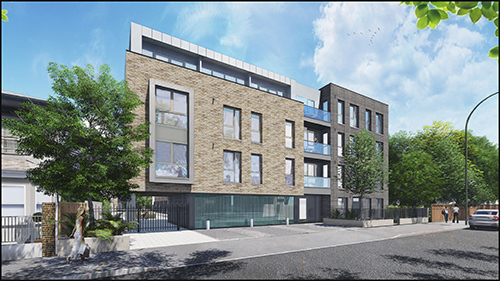 At Lennard Road, a shared ownership development, Family Mosaic successfully created a popular, modern and excellent collection of homes. The development, of 20,000 sqft, compromises 17 one, two and three bedroom apartments. It offers first time buyers, including young professionals, couples and families, a great opportunity to get on to the property ladder, with prices starting at £87,000 for a 30% share of a one bedroom apartment. Well located, Lennard Road has national transport links, retail offerings, restaurants and recreational spaces all on its doorstep. This development provides good quality housing and pleasant open space within an inner city site, in a time where open space is scarce. Family Mosaic have put quality before quantity, in order to respond to the character of the local area.